Pod Baranami is a small arts cinema, situated in the center of Krakow. It has been operating since 1969 in the Palace building with the same name, one of the oldest and biggest in the city. The cinema is famous for its special, cozy atmosphere and good moovies. It offers independent and artistic movies from all over the world, but mainly from Europe. It also organizes festivals, such as Silent Film Festival, short movies and documentaries festival and movie-night marathons. It is a kid-friendly place- it regularly screens animated films for children. 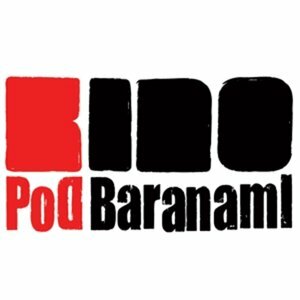 Pod Baranami Cinema is also a place of film premieres and meetings with artists. Everyone can find something interesting for himself among all the events. The cinema has been awarderd the Europa Cinemas award for best programming in Europe and the Polish Film Institute Prize for Best Cinema in Poland.